A look at the impact of rising Chinese investment in the impoverished country. Despite much speculation this year that Beijing has been toughening its policies on North Korea, China has in fact been developing nascent economic ties with its impoverished neighbor – a case of the region’s largest and most dynamic economy investing in the most backward. 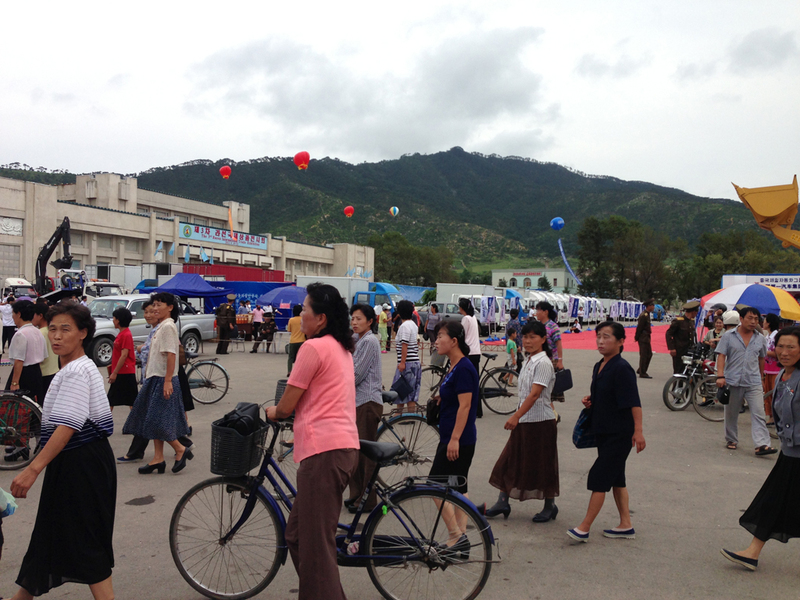 On an academic exchange in September, Flinders University PhD candidate Robert Potter saw first hand some of the evidence of joint development, and was part of the only academic exchange group to be permitted to visit a trade show at the special economic zone in Rason, about 50 km inside North Korea’s border with China. 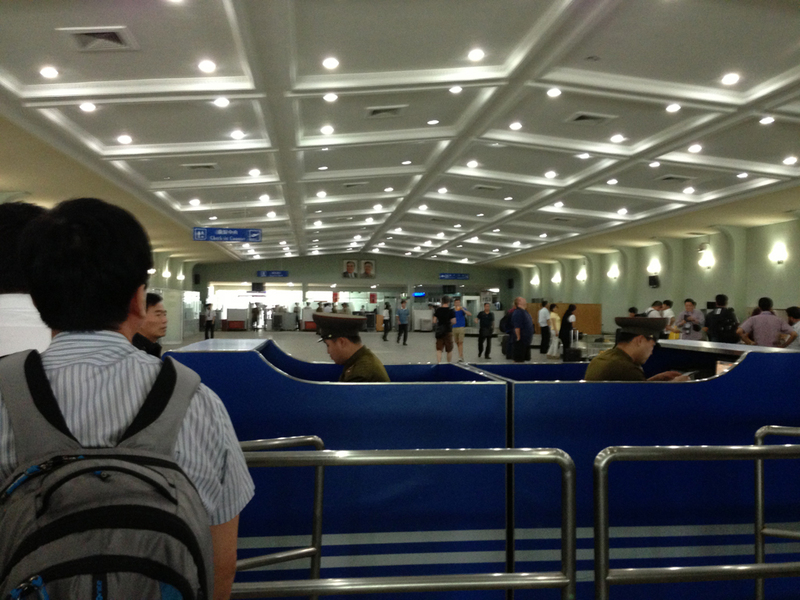 The impact of Chinese investment is immediately apparent upon arriving at Pyongyang airport. The old Soviet-era infrastructure is in the process of being taken down. In its place is a new terminal. Although far smaller than the old one, cranes nearby suggest that further development is underway. The road connecting the airport to the city is, like most in the country, in appalling condition. The best road we travelled down was a new one connecting China to Rason, paid for by the Chinese. 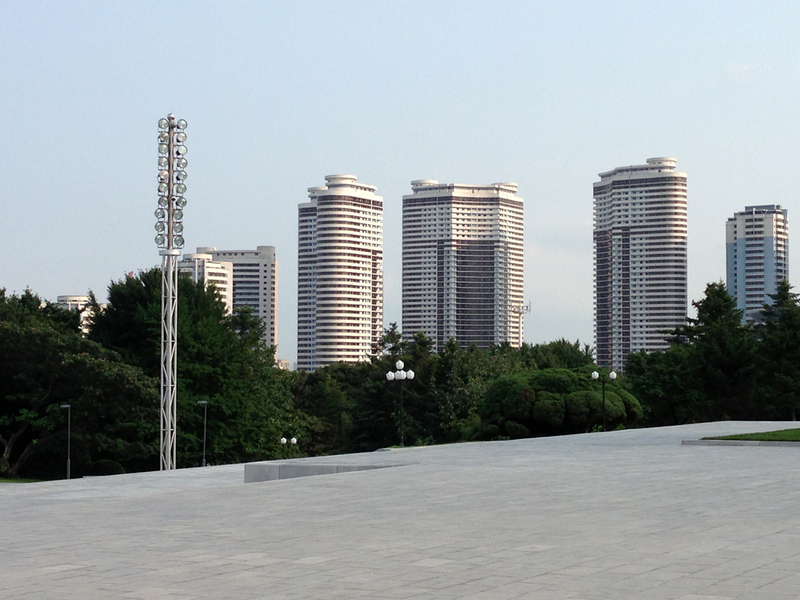 The Pyongyang skyline has been altered by the conspicuously Chinese-looking Mansudae Apartment Complex. During the Arirang Festival, the buildings were lined in the same neon style that is popular throughout mainland China, while much of the rest of the city sat in darkness. On closer inspection, it became evident that the apartments had yet to be fitted out internally. Our guides told us that the Chinese are assisting in the finishing work. In the port city of Rason, at the northeast tip of North Korea, the Golden Triangle Bank allows foreigners to exchange their foreign currency into Korean People’s Won (KPW) at close to the market rate (which is far lower than that set in Pyongyang). 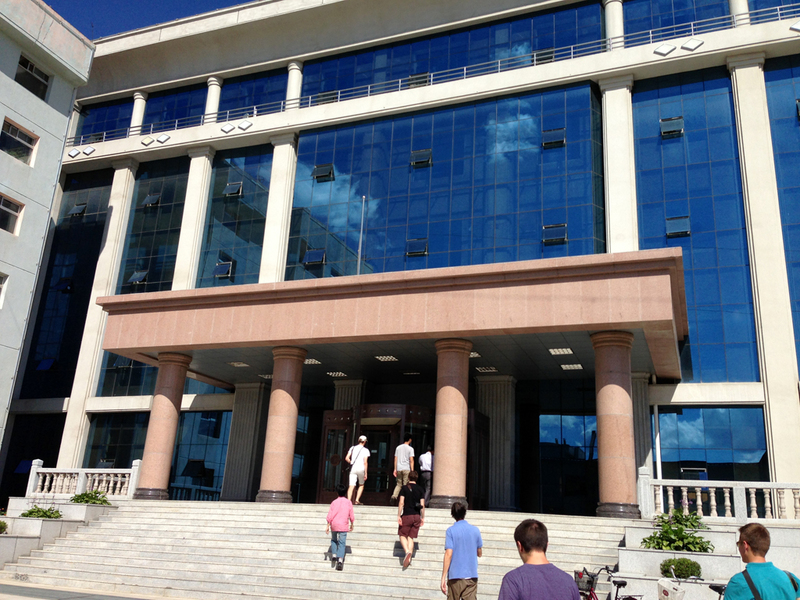 Although moving money by EFT is prohibited, the bank acts as a store for funds in the Special Economic Zone. The bank even issues a credit card, although it is tough to find a place that will accept it. Traders carry cash into the zone in briefcases. Within the region, an investment project exceeding $1 million is considered to be on the larger scale. At the local free market Chinese professors investigating trade in the region were able to trade currency at a rate of 11,000 KPW for one U.S. dollar. In Pyongyang, the official rate is 100KPW to one U.S. dollar. The average salary in North Korea is around 4000KPW per month. China and Russia are jointly developing a substantial port in the Rason Special Economic Zone. Chinese investment is dominant, accounting for 90 percent of foreign operations in Rason. 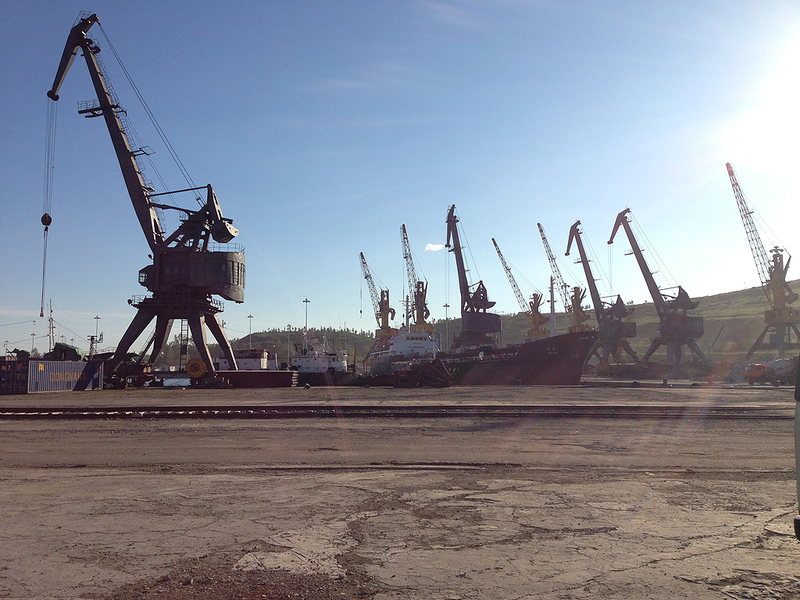 Both China and Russia, however, have made a substantial investment into the port. Interestingly, Chinese academics refer to the port as “theirs” and, according to Western investors in the area, Chinese day traders refer to the zone as “their land.” Despite the investment, Chinese academics in Yanbian expressed concern about the return. Although extensive, the port was almost completely devoid of activity. The only economic activity in evidence was a few Chinese businessmen gambling on a “luxury liner.” The trend was repeated across the economic zone: empty factories, tiny operations and massive Chinese investment. The Chinese academics worried that the investments were not leading to change. Just outside Rajin and at the end of a dirt road sits the new Emperor Hotel and Casino. Supposedly five star, it sits more or less empty. 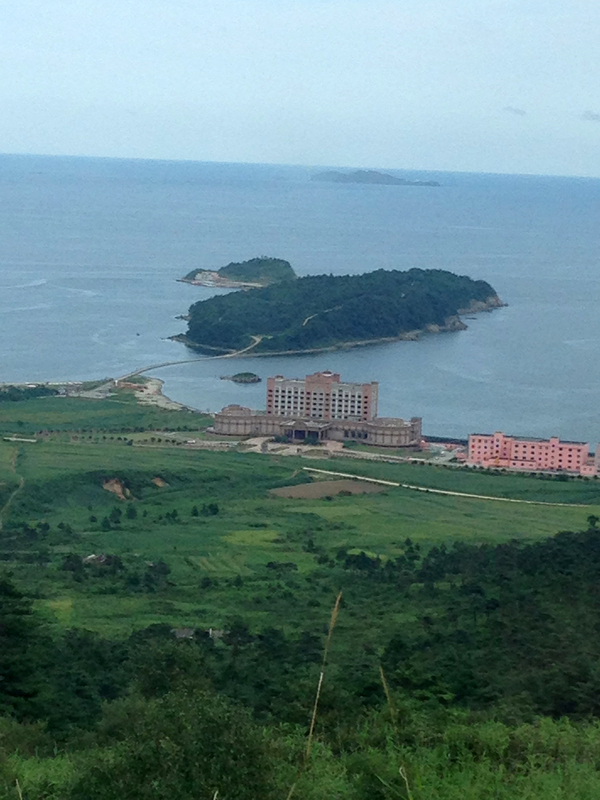 Having been constructed by Chinese investment to both provide facilities for their investors in the region and to showcase a rather different way of life for North Korean officials, it has not enjoyed significant success. The constant refrain of the Chinese professors we spoke to was that North Korea was mineral wealthy and its people in need of jobs, but Pyongyang had not been enthusiastic about embracing Chinese influence or the economic olive branch. While the North Korean government might have responded coolly to investment, the local people seemed enthusiastic. North Korean citizens were buying discounted appliances so fast that the Chinese traders were running out of stock. Soldiers perused water purifiers and inside, portraits of Kim Jong Il and Kim Il Sung overlooked an energetic hub of capitalist activity. The increased cash flow into the region has also upgraded its importance to North Korea’s leaders, new statues similar to those in Kaesong are being planned. 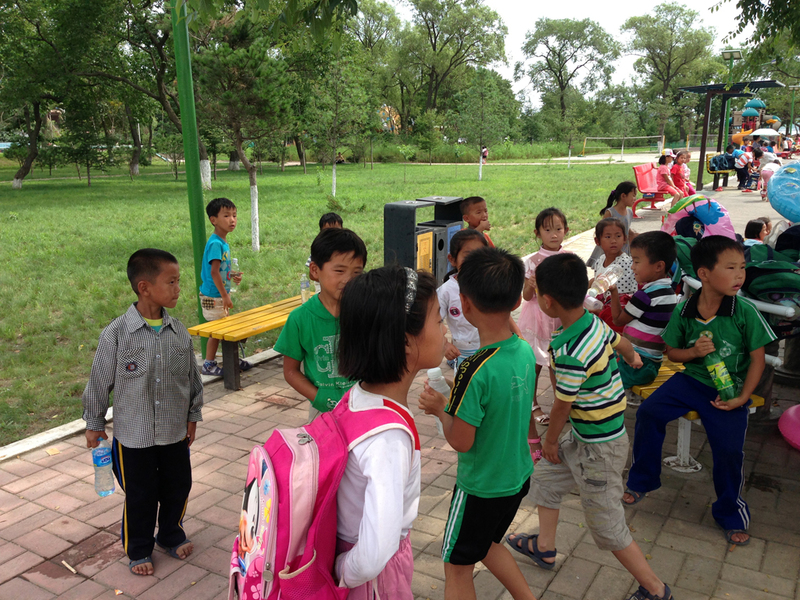 Local children play at the local park in Rajin, paid for by Chinese investment. Their appearance is very different from that of the children we encountered outside the Special Economic Zone. Here, Disney, fake Chinese Calvin Klein and Puma are on display as children of the new economic upper middle class in Rajin casually wear labels. Our minder in Pyongyang also worse quite expensive imported clothing, but much more subtly. Here, it was worn openly. North Korea might be the only place where the mobile phone belt clip has taken off, as it is an obvious outward sign of upward mobility. 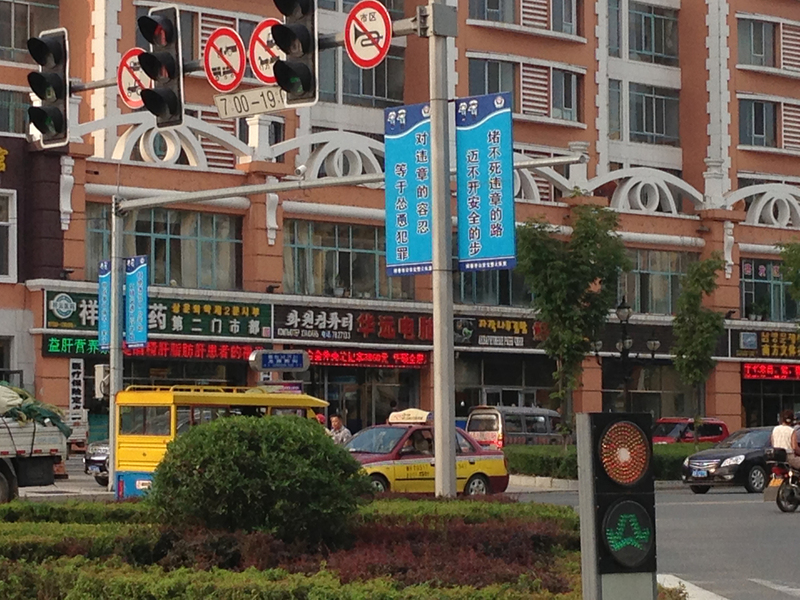 Across the border, in Hunchun the Chinese investment into North Korea is obvious. The city has three official languages: Chinese, Korean and Russian. A massive 6 billion dollar high speed rail network is being directed from the provincial capital in Jilin to the border. On the Chinese side of the border, activity and expectations of a breakthrough into North Korea are high as China constructs economic arteries into the Special Economic Zone.